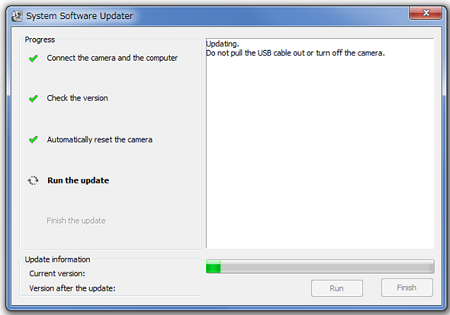 When performing the system software update, please use a fully charged rechargeable battery pack NP-BX1 or the AC Adaptor. 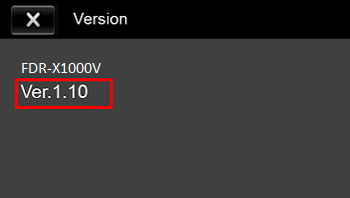 The download of the [Update_FDRX1000VV110.exe] file will start. 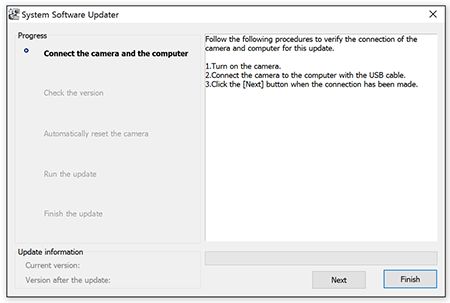 Once the file has downloaded successfully, you're ready to install the system update Ver.1.10 for FDR-X1000V. 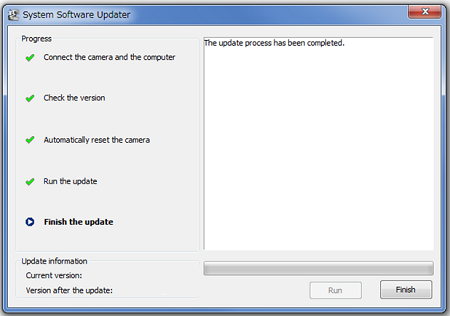 Double-click the [Update_FDRX1000VV110.exe] file you downloaded to start up the System Software Updater. 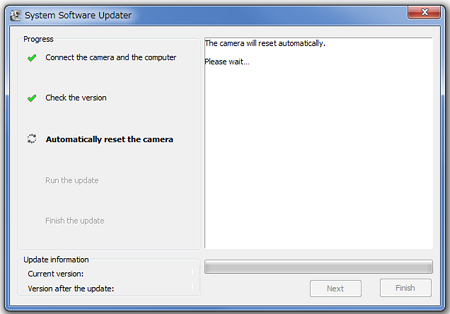 Press the NEXT button or PREV button to select [SETUP] - [CONFG] - [VER. ], then press the ENTER button. 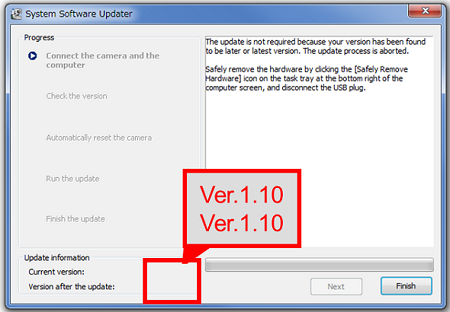 If Ver.1.10 appears then the system software version is Ver.1.10.